In the past people automatically named an adult child, close friend or financial institution as executor of their estate. But today there’s another option: the private professional fiduciary. A relatively new phenomenon, the professional fiduciary takes the burden off loved ones at a difficult time and, frankly, does a better job of it. Not for the faint-hearted—or the amateur—settling an estate often entails a myriad of tasks: identifying and collecting all of the estate’s assets, depositing those funds into the estate bank account; settling all debts; preparing and filing a final tax return; having real estate appraised and readied for sale; seeing that all other possessions are identified and valuated—the list goes on and on. Moreover, if a living trust has not been set up, the will must be probated through the courts. Needless to say, the job of executor can be overwhelming. It can also take a long time. The executor might have to deal with the IRS, DMV, County agencies, and various financial institutions, some of which are more cooperative than others. I personally remember going back and forth with the IRS for months over a disputed $1.99 item in my mother’s estate! The professional fiduciary has the know-how and contacts in the community to make the process go more quickly. Even more onerous than dealing with logistics is dealing with squabbling heirs. The private professional fiduciary acts as an impartial liaison, whose experience in these matters enables her to come up workable solutions that are fair to everyone. Without such a referee in a position of authority, one sibling might pressure another to sell a beloved vacation home, resentments among first and second families might surface, and even families that once got along famously might suddenly stop speaking to one another. Although an inheritance represents found money, the literature suggests that families can go to war over the most inconsequential things. Even if they know all that, adult children are often offended and suspicious when they learn that their parents have named a private professional fiduciary in their wills, not knowing, among other things, that fiduciaries are paid out of the estate. 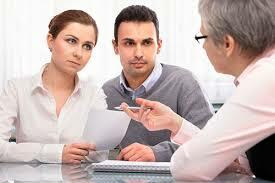 To address their concerns you might want to call a getting-to-know-you meeting. Here, the fiduciary can explain how she provides a great deal of safety and security for the assets. In California, for example, the Professional Fiduciaries Bureau ensures that professional fiduciaries have undergone a criminal background check and are insured, bonded, and up-to-date on the latest rules and regulations regarding trusts and estates. Moreover, they must have passed a licensing exam and continue to take education courses in their field. The private professional fiduciary is not the children’s adversary. To the contrary, “My responsibility is to the beneficiaries,” says Courtney DeSoto. “I want to do what is best for them. While I can’t always make everyone happy, I can at least make them comfortable with the process. Using a licensed, neutral third-party provides that the matter is handled with the highest legal and ethical standards. Communications and transparency are a must. I’ve found that when everything is explained to the children, they’re actually relieved that the estate is in a professional’s hands so they don’t have to deal with it.” Courtney DeSoto can be reached at Courtney@cifiduciarygroup.com.